Vardakeios School hosted in Syros from 25th-29th June the Training for trainers meeting (LTTA) of Healthnic Diet project. 15 trainers from Danmar(PL), Diciannove(IT), ITT(IR), MRSN(UK) and Vardakeios(GR) participated in a training that included all aspects for the facilitation of a “Healthnic Diet” workshop. All participants with the guidance of their trainers, Maria Krina and Vasilis Evdokias, worked together on food culture and healthy eating, they created digital stories based on food but also contributed in adapting the workshop to the needs of the vulnerable target groups. 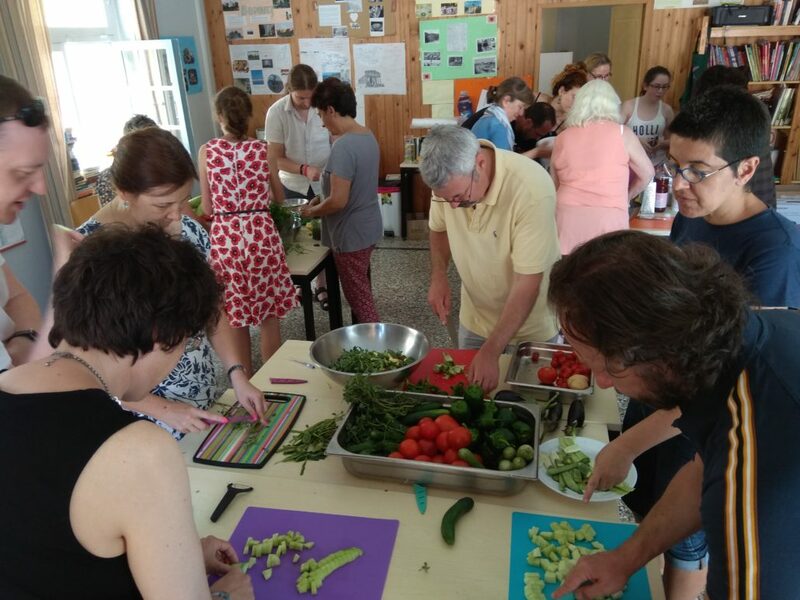 Now the next step is the organization of local Healthnic workshops from the end of September until the end of December 2018. From 29th-30th June the participants also attended the Transnational project meeting in order to finalize the Guide and discussed issues related to management and dissemination of the project.